Law Desk (LD): Could you tell us about the background of the study titled ‘Justice Needs and Satisfaction in Bangladesh, 2018: Legal Problems in Daily Life’? Farisa Kabir (FK): Jointly published by HiiL (a Netherlands based organisation) and BRAC, the report talks about legal problems in daily life of the people of Bangladesh. A nationwide survey on justice needs and satisfaction was conducted aiming to make the demand for justice in Bangladesh transparent and to outline what people of our country mean by their notion of justice. Also they talked about how people see their justice journey. The questions here include, if a person is in a legal trouble how do they want to solve the problem? Where do they go first? Who do they consult? Do they seek informal services? Do they seek professional help? Are they satisfied with that professional help? As their local co-coordinating partner, we assisted in conducting some of the interviews. 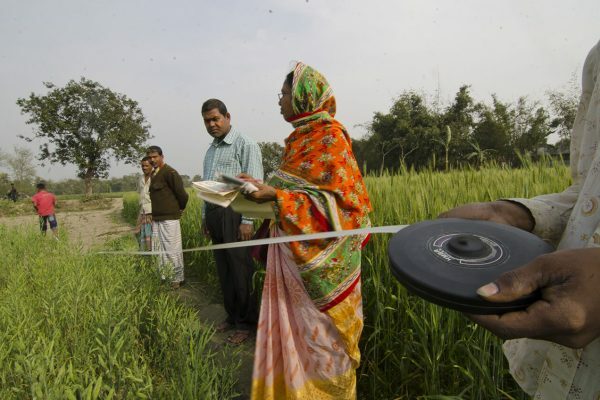 HiiL did most of it by conducting 6000 interviews in all districts across Bangladesh among randomly selected adults in August and September 2017. LD: What were the main findings of this study? FK: The main findings of the study, very briefly, were that 4 out of 5 adults in Bangladesh faced one or more legal problems during the past 4 years. They have also identified three main legal problems people face, land disputes being the frontrunner. 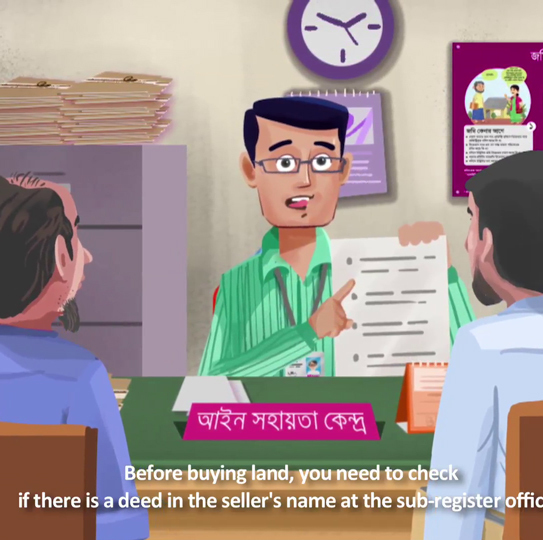 There are roughly 8 million people who are facing land disputes, after that there is neighbourhood conflicts that comes up to about 6.8 million per year. Then you have crime which is about 3.8 million per year. HIIL has categorised these 3 as the most serious current legal problem in Bangladesh. There is also lack of legal awareness. The main barrier to people not seeking legal advice is the belief that it will not make a difference. 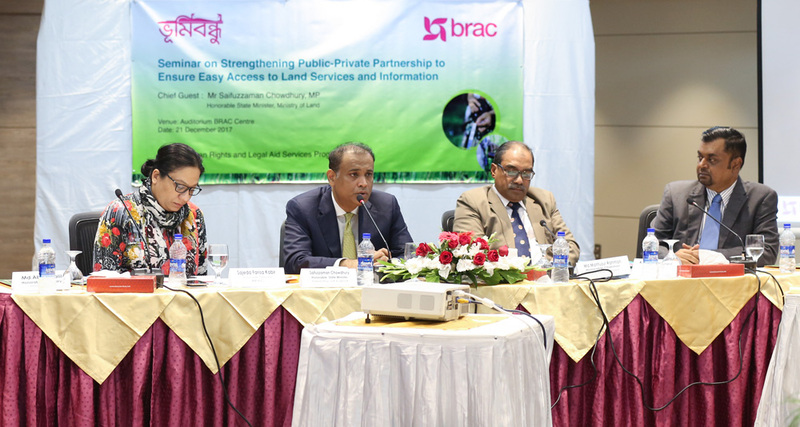 LD: What is BRAC doing to make justice more accessible? 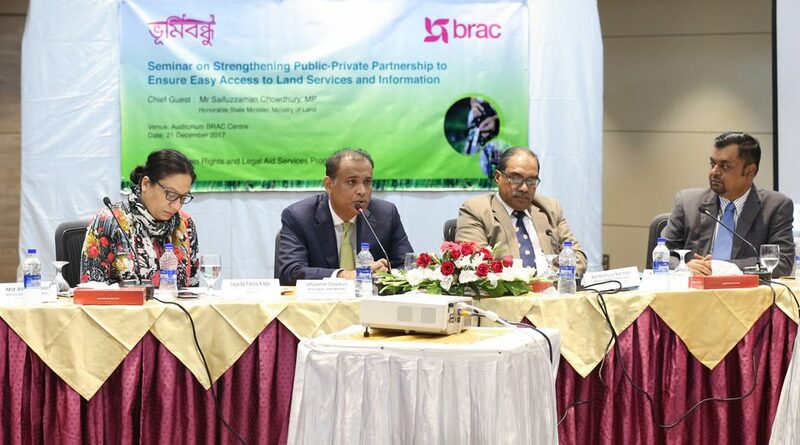 FK: BRAC runs a legal aid programme which has coverage in 61 districts in Bangladesh. Through these clinics we try to give local solutions; we have seen people prefer out-of-court settlements. Most of our clients are women, women who have come for divorce, who have faced torture for dowry, or who have been divorced and now are seeking maintenance. What we offer is solution to their problems through these legal aid clinics. We have conducted about 15,000 mediation in 2017 and on average we receive about 20,000 requests a year. LD: There are 33 lakh cases pending in courts. Do you think we should think and act differently in regards to the backlog of cases? FK: It is high time to think about justice differently. It’s not just sitting in a room and blaming people; lawyers, bench officers, judges, infrastructure or anything or anyone else. We are at such a stage where we need to think how we can solve legal problems differently. We need to think about justice system, legal aid, and hybrid justice models. The system should not be about adding more people to it or giving more resources, but going forward thinking about legal problem as a whole. We can think of mediation, formal arbitration mechanism for the poor, forums chaired by retired lawyers and judges, etc. We have to have a mechanism for everybody regardless of their socio-economic class. Regarding this current backlog, there needs to be more analysis as to understand the nature of these 33 million cases. I think it is also important to understand problems of the people from their perspective, to understand their needs and think about how to create alternatives to the justice system. LD: Is the current system of justice, formal and informal, catering to the justice needs of the people? FK: This is a tricky question. It depends on who the client is. There is no end to effort from people, government, NGOs, civil society members to try and solve the problems. I think instead of trying to solve an existing problem we need to create branches to relieve the pressure of the formal system. A core message of the study is that, a more effective and innovative solution could be implemented if the citizens are at the center of the reform. It also suggests the problems be considered at macro levels and solutions are implemented where people interact with justice mechanisms. Lastly, there should be justice innovation, which is about the redesign and improvement of justice journeys.